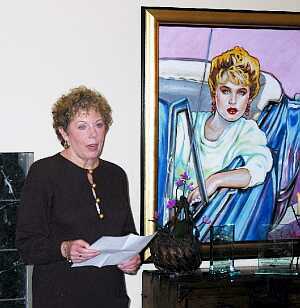 Andrea Millen Rich, owner of Laissez Faire Books from 1982-2005, has died. Andrea Rich, for decades the skilled and indefatigible operator of the vitally important libertarian bookselling service Laissez Faire Books, has died. Her career in the libertarian movement was long and varied. Among other things, she was national vice chair for the Libertarian Party in the mid-1970s, worked with the Center for Libertarian Studies in its early years, helped craft a successful national TV ad campaign for Ed Clark's 1980 Libertarian presidential run, and served on the boards of directors of the Foundation for Economic Education (the first modern libertarian promotional organization), the Atlas Network (which helps free-market institutes around the world), and the Institute for Humane Studies (which trains and supports academics in libertarian thought). She also founded the libertarian book publishing imprint Fox & Wilkes and managed the Thomas Szasz Award for Outstanding Contributions to the Cause of Civil Liberties (which, disclosure, I won in 2011). And her Center for Independent Thought distributed John Stossel's highly influential market-themed videos to classrooms across America. In the pre-Amazon age, Laissez Faire Books was often the only way for a far-flung national audience of libertarians to learn of books of interest to them. Its existence, and Andrea's tough negotiating, made the publication of many libertarian books possible and access to them affordable. I hardly new Rich but visiting LFB in San Francisco (before I moved here permanently) was like visiting Mecca for me. Before Amazon, and even before Borders Books, LFB was,as Doherty indicates, where you ordered libertarian books. And you were notified of new libertarian books by the monthly catalog that came in the mail with review after review by Roy Childs. My first, influential, libertarian books came from Laissez-Faire books, back in the early to mid-90s. Hazlitt, Higgs, Bastiat... In fact, I didn't even know they still existed.